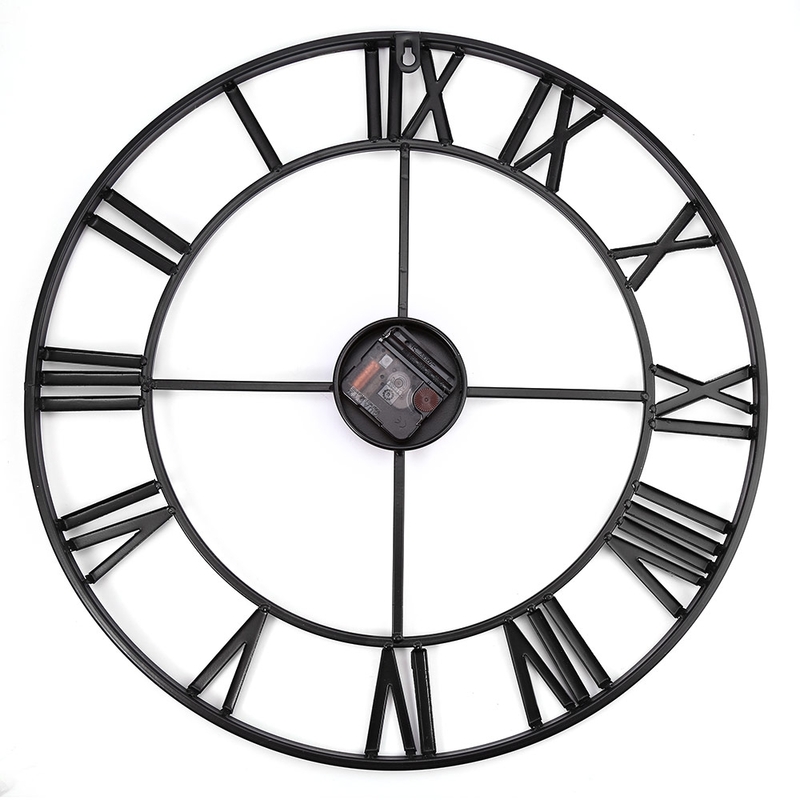 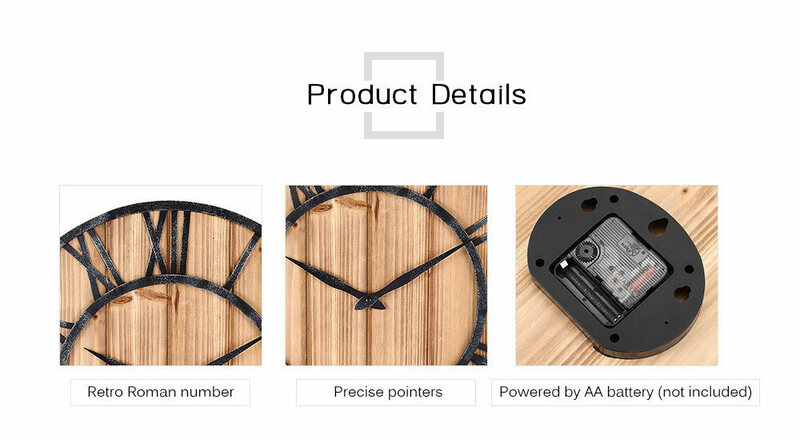 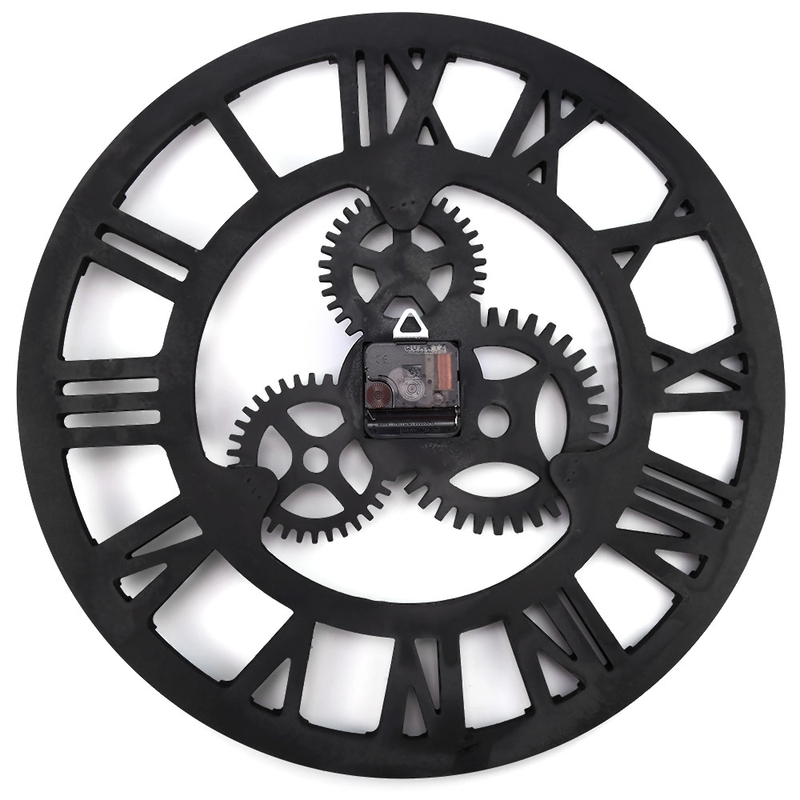 A unique wall clock will not only tell you the time, but it also stands for your taste of life. 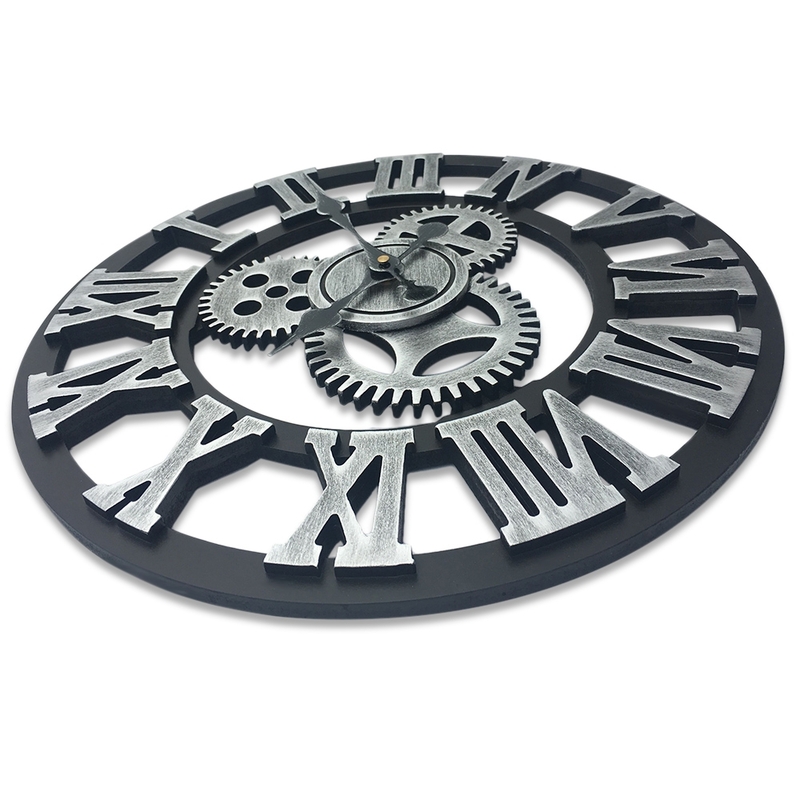 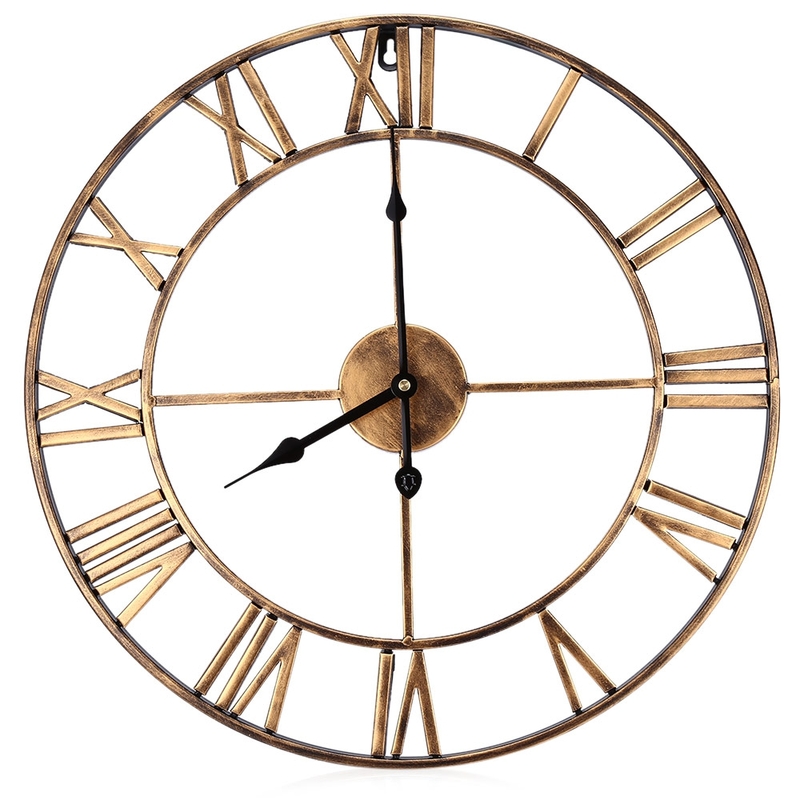 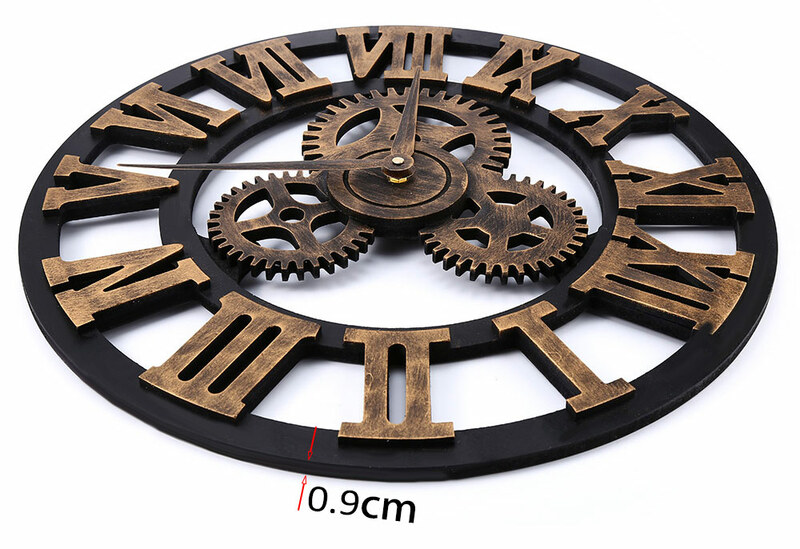 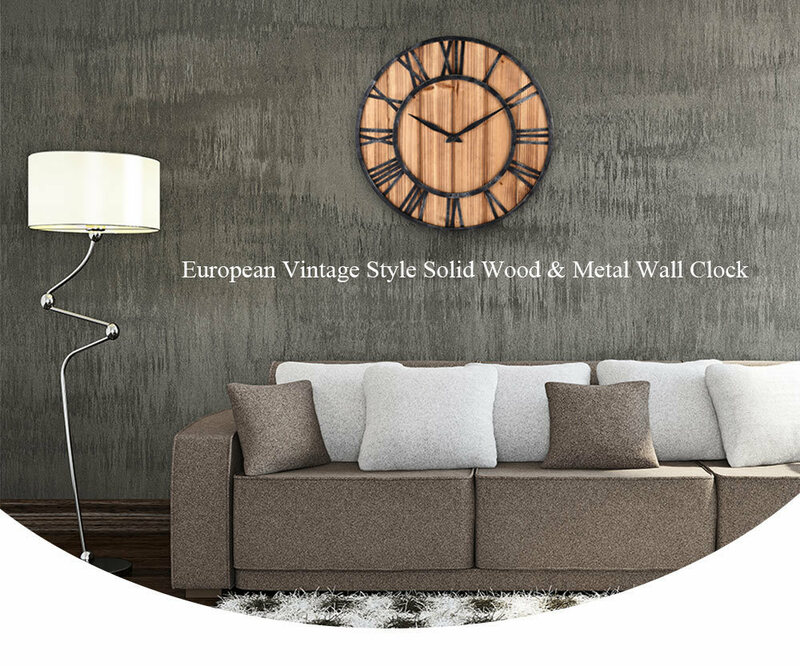 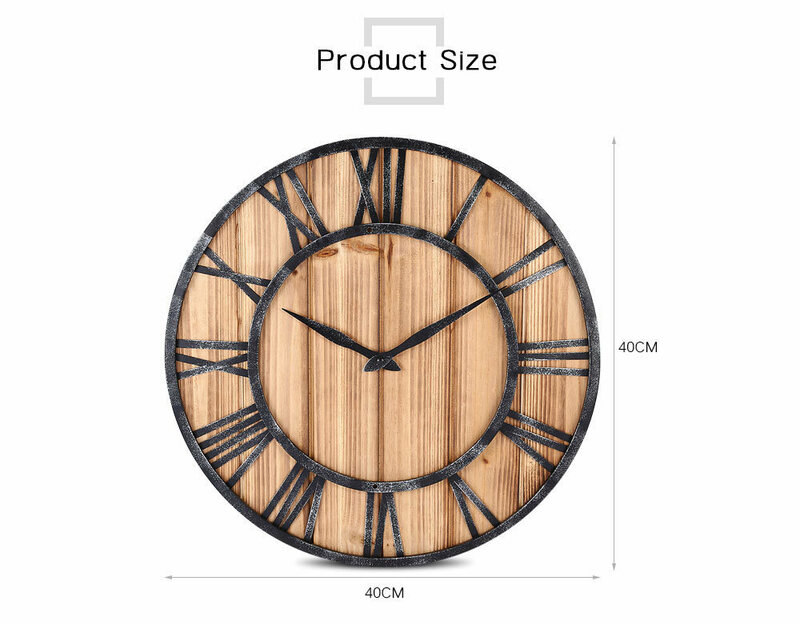 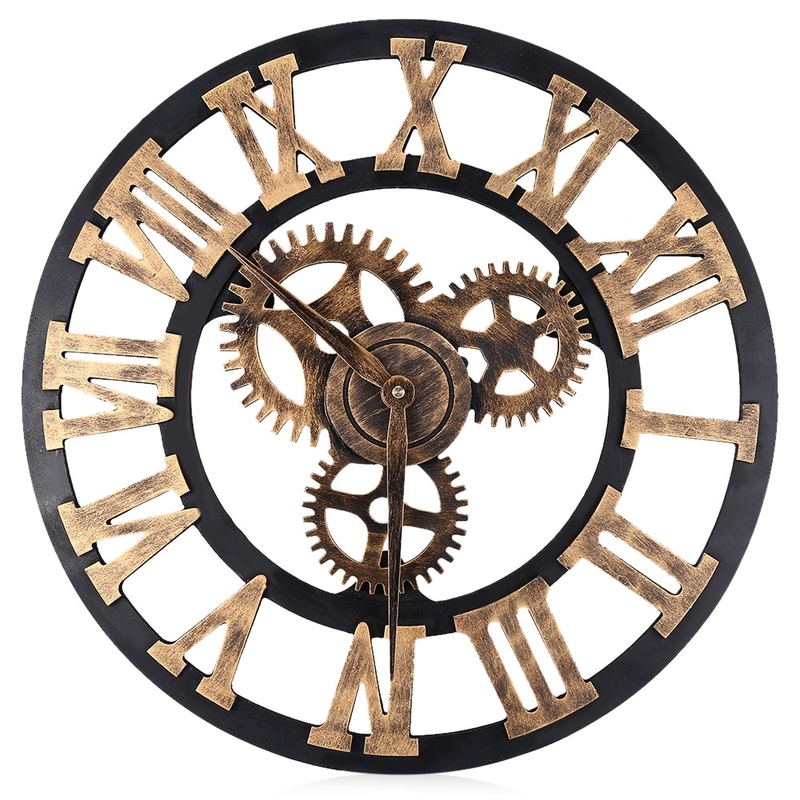 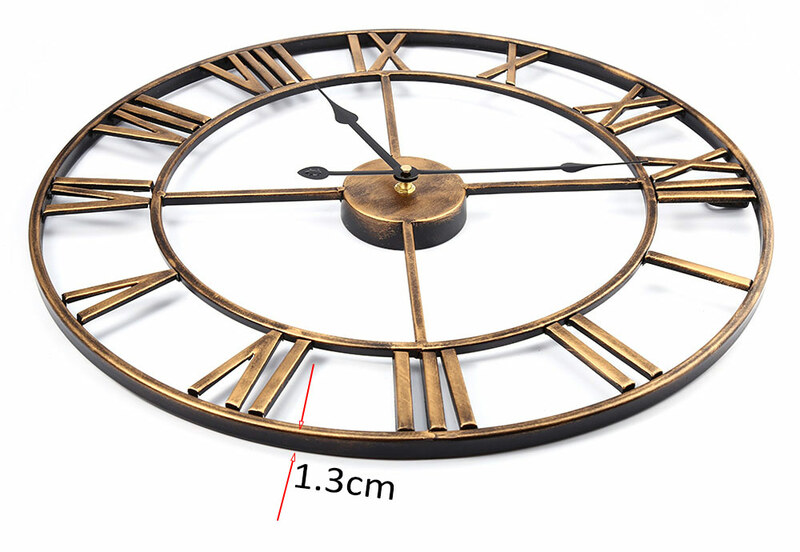 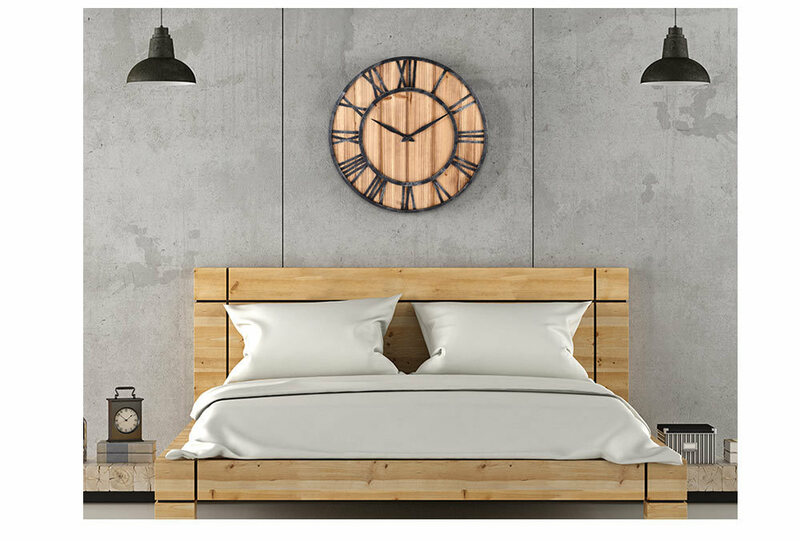 This wall clock is made of solid wood and metal, which is full of European vintage style. 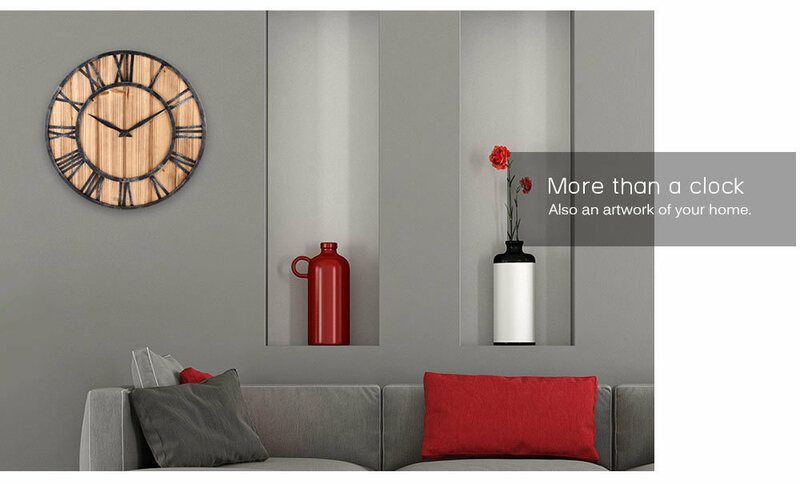 A perfect decoration for your home! 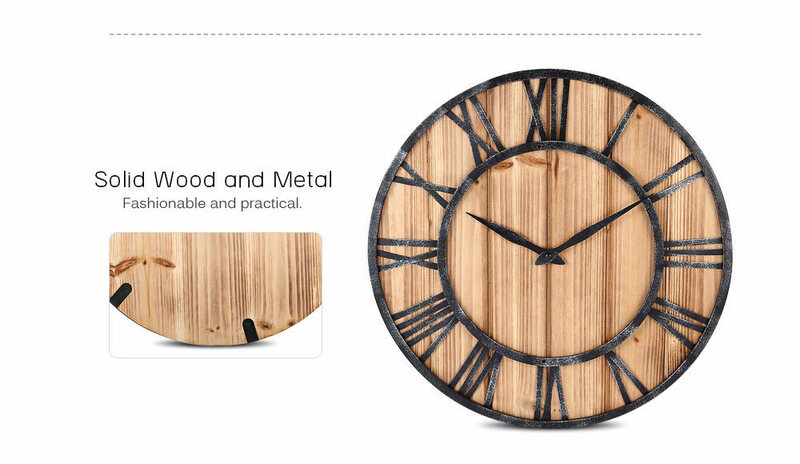 - Solid wood and metal material, fashionable and practical. 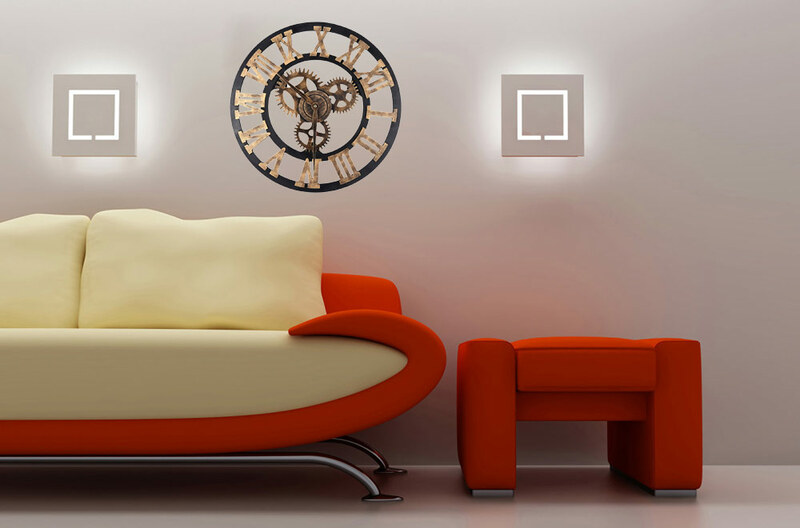 - Vintage and concise style, no cover, clear to read. 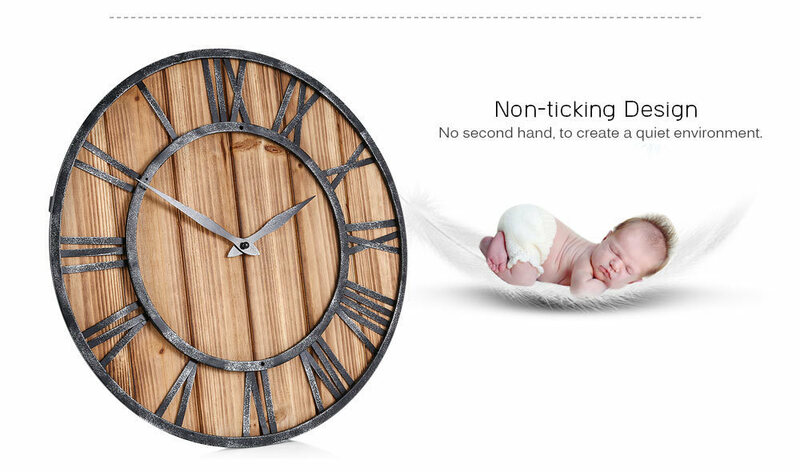 - Non-ticking design, no second hand, to ensure a quiet environment. 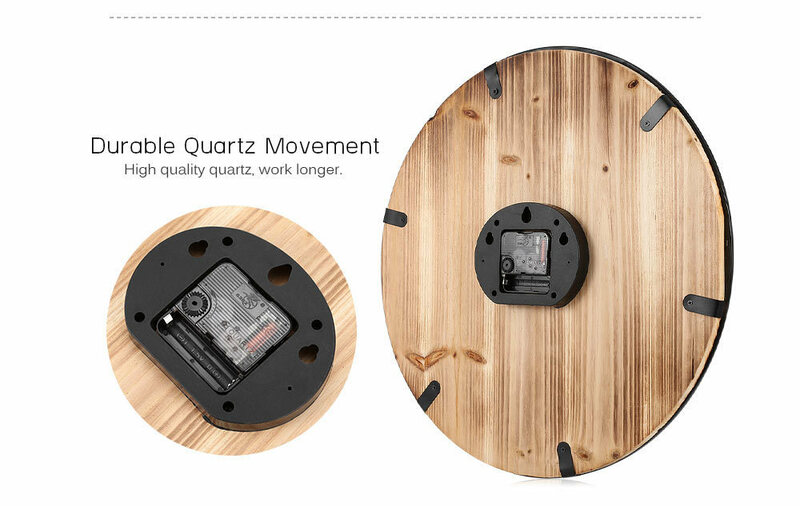 - Durable quartz movement, continue to work longer. 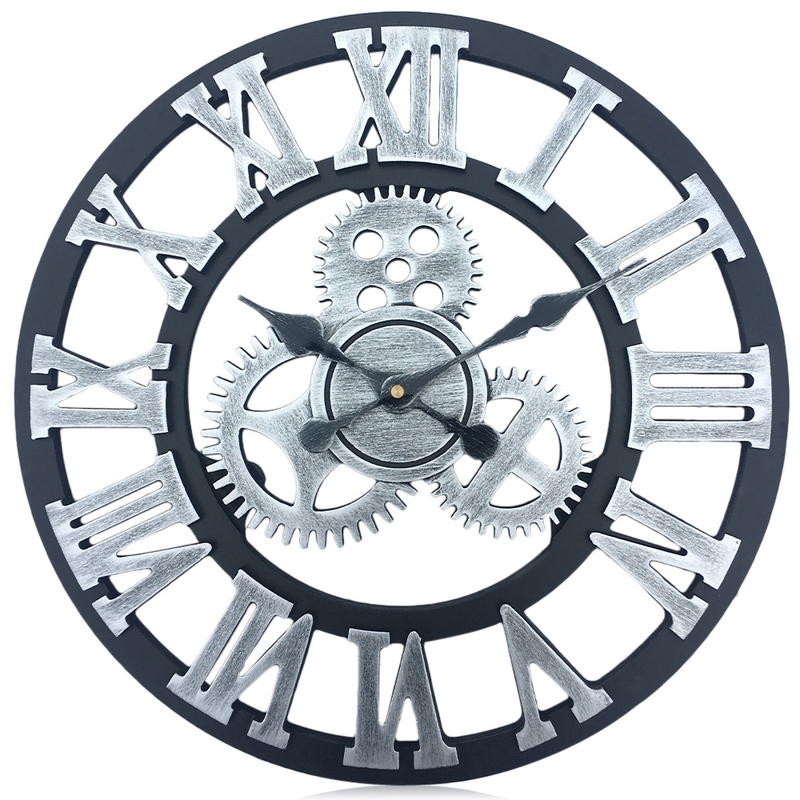 Please check gears movement after putting the battery to check if it is working.